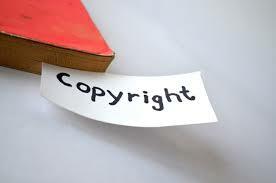 The European Parliament adopted today its own initiative report on the evaluation of the Copyright Directive (2001/29/EC), with a substantial majority of 445 MEPs (65 voted against and 32 abstained). OpenForum Europe (OFE) welcomes this report and congratulates MEPs for their work to adopt these non-binding provisions. This report comes after a public consultation on the topic, conducted by the European Commission in 2014, which is now expected to come up with proposals later this year on how to reform the European copyright system to make it fit for the digital age. In many aspects, the final report respects the balance of interests between producers and consumers of content in our new digital world. We believe this is a good starting point for the Commission’s legislative proposal to come out in the autumn. Commissioner Oettinger’s intervention in the plenary, when referring to the freedom of panorama, shed some light on the approach that the Commission might take with its proposal: “there is no difference between what you see with your eyes and what you see with your camera”. OFE considers that the same reasoning should apply for text and data mining (TDM). What one can read with one’s eyes should also be accessible using machine-assisted methods, without additional restrictions. On this topic, the report only stresses the need to look into assessing the enablement of automated analytical techniques for research purposes, while a number of MEPs argued that TDM should be equally allowed for commercial purposes. Last minute efforts to add an ancillary copyright provision were overwhelmingly voted down, with 379 votes against. This is a remarkable outcome, knowing that ancillary copyright harms the consumers and negatively impacts media pluralism and freedom of the press. However, since no common position could be found on the topic of hyperlinking, there is no provision in the final report on the permission to freely link, which is a fundamental building block of the open internet. “The Commission has to take note of the MEPs’ consensus calling for a reform of EU copyright rules”, said Maël Brunet, Head of OpenForum Europe in Brussels. “It cannot miss this call if it wants Europe to remain a place of cultural diversity and innovation”, he further added. For more information, please contact Maël Brunet , OFE’s Director in charge of European Policy & Government Relations at mael@openforumeurope.org or Diana Cocoru, OFE’s Senior Policy Analyst at diana@openforumeurope.org or +32 2 210 02 92.